Home / News / Queensbury Moose On The Loose! 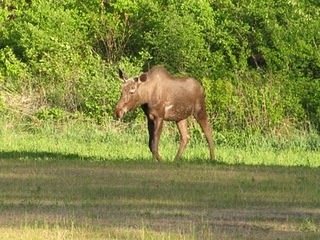 Queensbury Moose On The Loose! You don't have to go all the way into the mountains to see Adirondack wildlife! 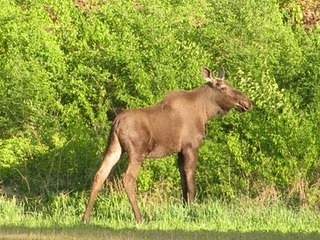 On Thursday May 7th, 2010, a moose was spotted on Ridge Road in Queensbury! The Glens Falls region is located close to the Adirondack Park, making it easily accessible by both humans and animals. It is not unheard of to observe natural sightings of wildlife in the area including deer, moose, bobcats and more. What to do if you spot wildlife? Keep your distance while admiring and snap a photo! Be sure not to harm the animals; chances are they are more afraid of you than you are of them! If you spot a moose or have any other wildlife sighting, share your photos with us by posting them on the Glens Falls Facebook page!